Dr. Galicia earned a B.A. in Modern Literature from the National Autonomous University of Mexico (UNAM) in 1978. He did postgraduate studies in Education at the University of Exeter and in Teaching English as a Foreign Language at the University of Leeds, both in England. In Scotland, he studied English Literature at the University of Glasgow, and completed an M.A. (1979) and a Ph.D. (1988) in Applied Linguistics, both at the University of Edinburgh. Dr. Galicia has taught from preschool to postgraduate levels of education in numerous public and private institutions, and has co-authored educational materials published by the UNAM. Dr. Galicia has been an American School evaluator for the Southern Association of Colleges and Schools (SACS) in Latin America, and a visitor to schools in Latin America seeking International Baccalaureate Organization approval to teach the Diploma Program. 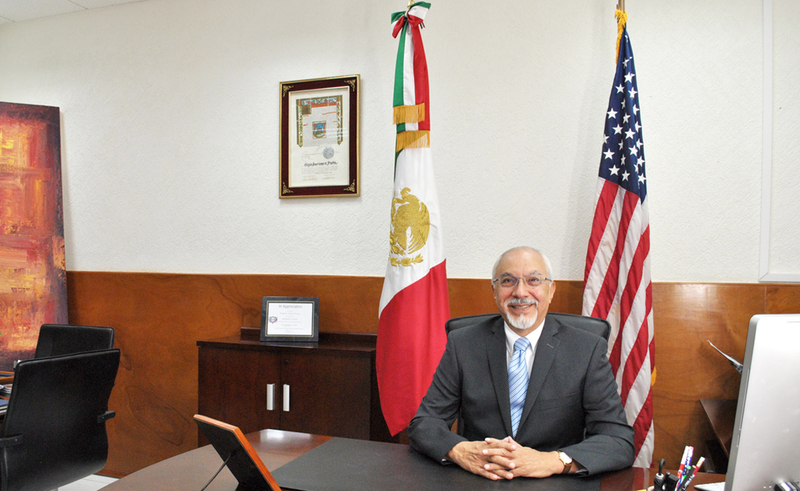 He has served as chair of the UNAM’s Foreign Language Teaching Center (CELE) Applied Linguistics Department and head of the Intercontinental University Language School in Mexico City, principal of the John F. Kennedy School in Querétaro, and primary school principal of “the American School Foundation of Guadalajara”. At Puebla American School Foundation, he served as High School principal and taught the Theory of Knowledge course for 7 years. He is a member of the School’s Audit, Academy, and Finance Committee, and has been PASF superintendent since July, 2006. In 2013, Dr. Galicia was named to the Advisory Board of the International Alliance for Invitational Education (IAIE), based in Georgia, USA. He also became a member of the BUAP (University of Puebla) School of Languages magazine Lenguas en Contexto (Languages in Context) Arbitration Committee that year, as well.